Sarina's Sephardic Cuisine - Kosher Family Recipes - Mama's Helpers - Special Moments Children Love! 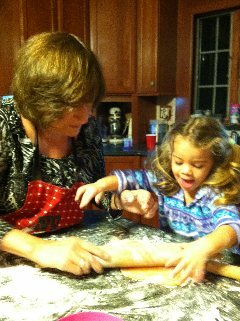 Mama's Helpers - Special Moments Children Love! I call them Mama’s Helpers, children who become involved in our kitchens and have a love of cooking because we created a positive environment and special moments all revolving around helping. There are ways to include children in tasks that will set them up for a lifetime. As Mama’s Helpers, children love to help and the smallest task can keep them engaged. These are the moments we cherish, moments when children bond with their mom. Children love to be involved, so I often find easy recipes for them to prepare. Instant pudding – measure, pour, mix and shake. Cookies made from prepared dough, they can roll, shape with cookie cutters, and decorate the cookies. It’s not because I can’t make the dough, I certainly can, but when preparing something with a child, it’s more about them being involved in the process, so I look for things that are easy to do. We will make cake mixes, and they love turning on the mixer, or licking the bowl. We put the cake in the oven, set the timer, and watch through the oven door for it to be ready. These are special moments I cherish. There are also annual and weekly traditions such as baking cookies before a birthday in the shape of their age, Hanukah cookies in the shape of dreidels, hamentashen at Purim, and making pancakes or French Toast on Sunday morning. Some tasks can also be educational. For example, when emptying the dishwasher, the flatware can be sorted by pattern, size and shape. Salad forks, dinner forks, tablespoons, and teaspoons can be separated into piles and then placed into drawers. Children learn so much from this activity, and the tasks engages children in doing something helpful and at the same time they feel involved in the household. Children can also set the table, put napkins and flatware at each place setting. And of course, they can help clear the table. Children can also be included by helping decorate the table. Flowers from the garden, colorful leaves picked during the fall, arranging gourds in a bowl during the late fall, or drawing pictures. I love that my grandchildren bring home arts and crafts from school for each holiday or occasion, and I am always sure to include these in our table settings. At each turn, positive reinforcement helps the child remain engaged and interested. I use phrases like “awesome,” “good job,” “I am so proud of you” and “you are such a good helper.” As a result, these Mama’s Helpers always seem to flock to the kitchen in my house, eager to help and be involved. I love and cherish these moments, moments that stay with them – and me - forever. As we move toward Thanksgiving and Hanukkah – Thanksgivukkah – think about the traditions in your home and how children are included, how the special moments are created and traditions are continued.